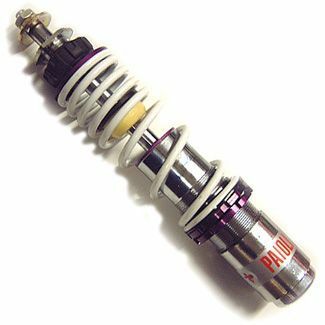 Bitubo gas shock for front LX50, LX150, LXV, Vespa S. 50, and Vespa S. 150. 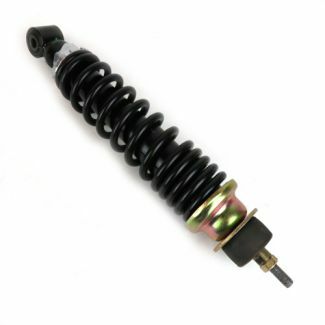 These have an infinitely adjustable spring rate with their patented "coil-over" style of spring pre-load adjustment. 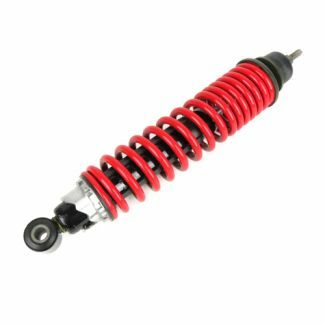 These also have a secondary nitrogen-charged canister controlled by a rheostat that allows for further adjustment to the "rebound" or bounce back of the shock. 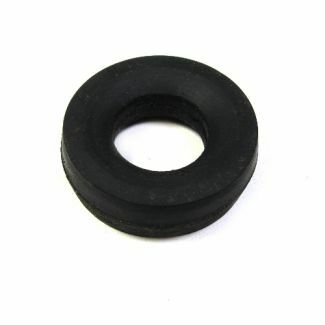 These are a great way to dial in your suspension for sporty handling or an extra comfortable ride when you are carrying a passenger or a heavy load. 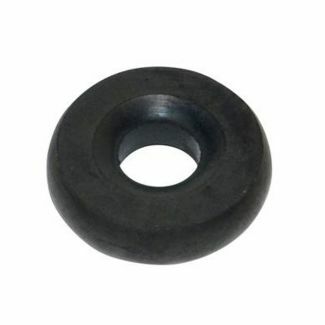 Bitubo, founded in Italy in 1963, has been at the forefront of manufacturing shocks and dampners for the motorcycle market since their inception. Bitubo equipped small displacement motorbikes have won world championships as far back as the 1970s. 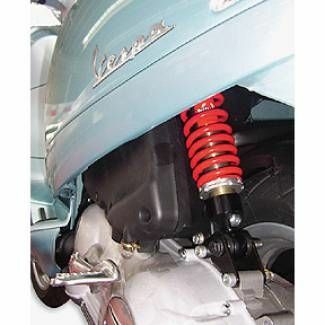 In fact, they have always been the pioneers in manufacturing quality performance shocks for all makes of Scooters especially the great Italian makes like Vespa and Piaggio.